Most excellent goat cheese and jam at the Earth Day Market. Rainy season approaches, which means fields are planted and the great wait for summer vegetables begin. Don't miss the great markets this weekend to still find seedlings, early summer vegetables, and perhaps the first of the ume? It's a little early, but a girl can dream, right? 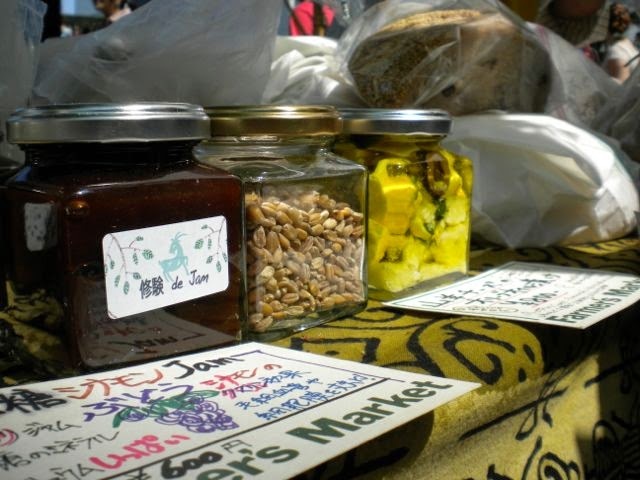 I'll be at the Earth Day Market on Sunday gathering up some great grains, some mochi, and seeing what else catches my eye. See you there!